Sienna Place is Colorado Spring’s best kept secret. Its secluded setting rewards you with spectacular apartments and a welcoming sense of peace and quiet. 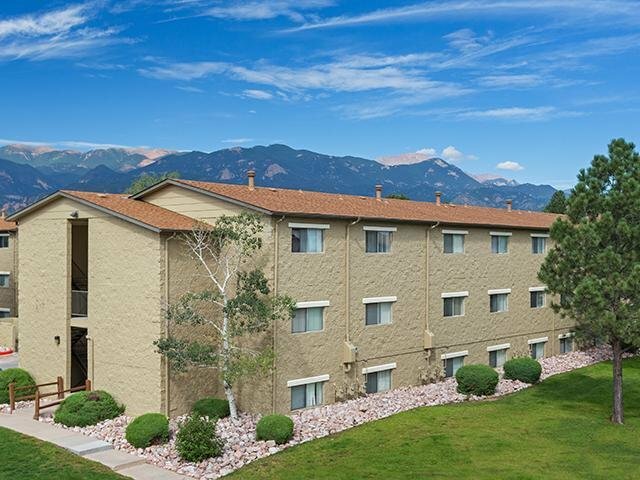 While it may feel like you are a million miles from everything here at our apartments in Colorado Springs, in reality you are only one mile from the Broadmoor Towne Center, and within close proximity to shopping, dining, the World Arena, and Fort Carson.. If you’d rather explore than shop, nearby Cheyenne Mountain Zoo, Garden of the Gods and Red Rock Canyon offer bicycle and jogging paths. 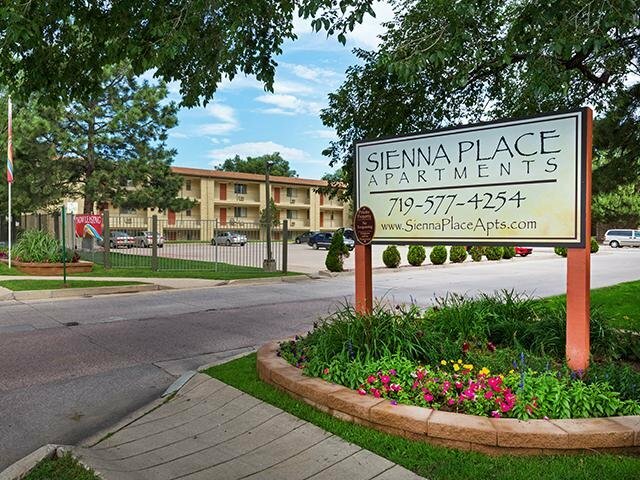 If you’re searching for apartments, Colorado Springs is the ideal location, especially when you make Sienna Place your new home. We think you can measure it with our recently renovated one, two, and three bedroom floor plans that boast ample closet space and are individually air conditioned and heated. Or in our open living and dining room designs that accommodate oversized furniture. 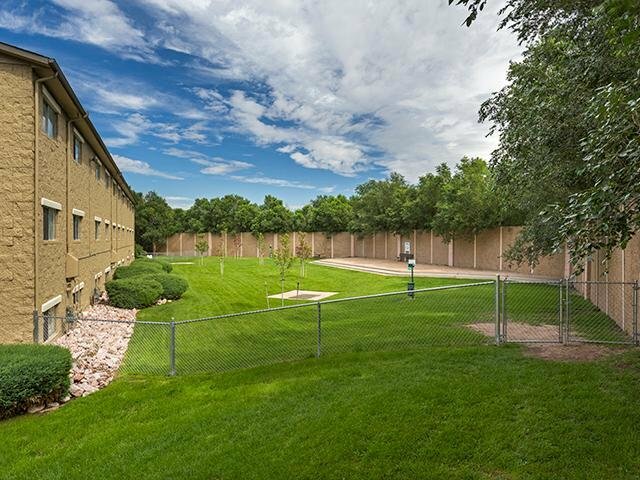 This is a beautifully landscaped community in Colorado Springs, where you can always find somewhere to relax or a place to play. Just steps from your front door we offer an immense selection of amenities. Heated outdoor pool, playground, free Internet Café, several picnic areas, laundry facilities on site and fitness center. Living at Sienna Place, you will never have to leave! After you have moved into Sienna Place Apartment Homes, be sure to take advantage of our resident referral program and get paid to choose your own neighbors and our on-line payments. We invite you to visit our photo gallery and features of our community. 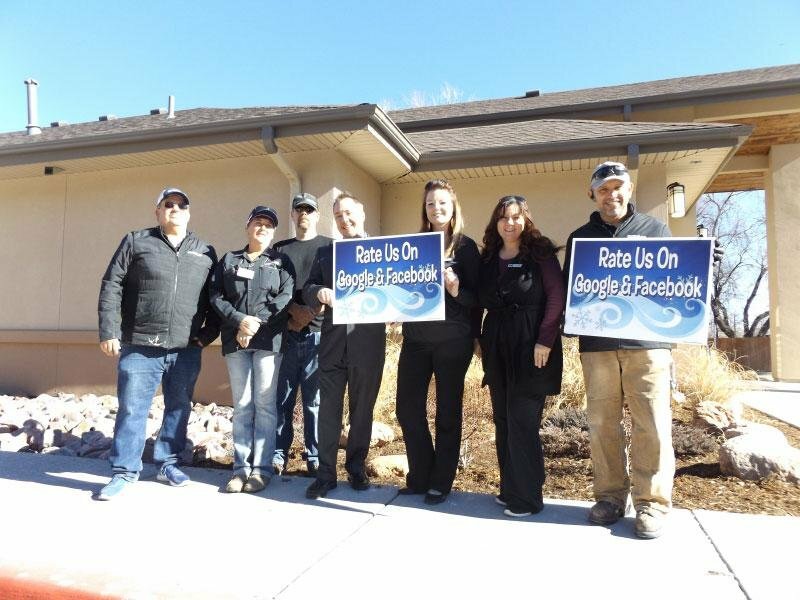 Contact us to schedule a personalized tour of our beautiful community today by calling (719) 577-4254 or stop in and prepare to be impressed! Fill out an application online in order to reserve your new home at Sienna Place today. 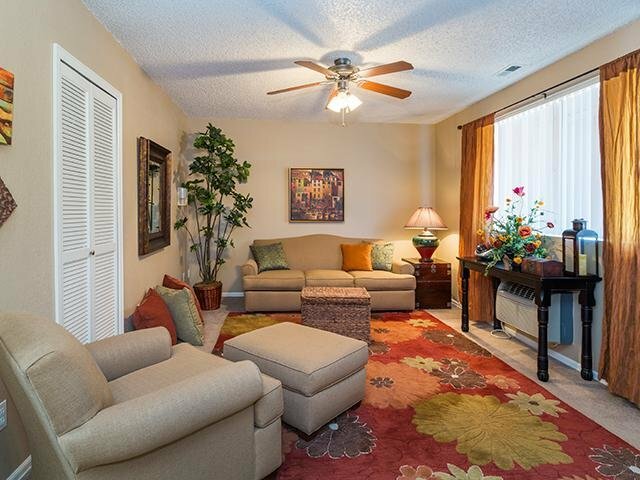 Imagine yourself living at Sienna Place Apartment Homes; your next best kept secret! Sienna Place in Colorado Springs, CO has the perfect location to give you a well-rounded lifestyle. Choose from one of our spacious 1, 2, & 3-bedroom apartment layouts to find the one that is perfect for your lifestyle. 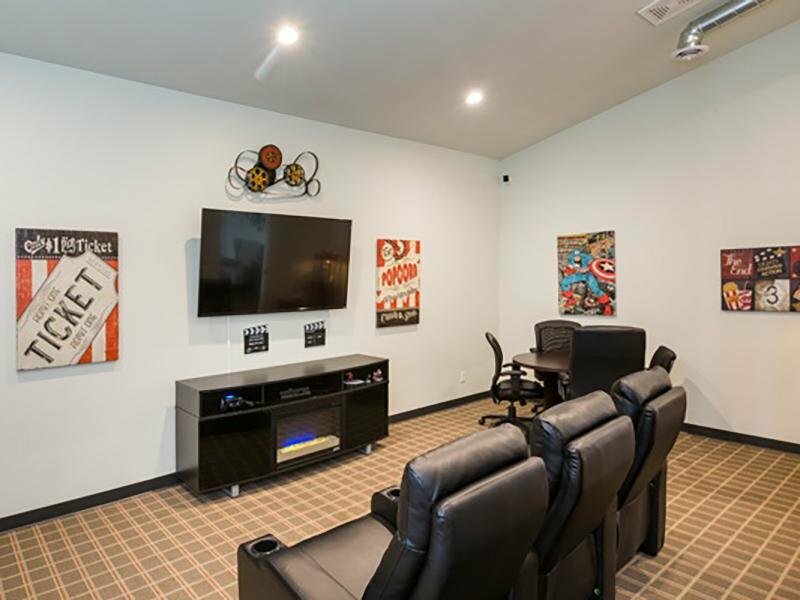 Stroll through our photo gallery to get an idea of our studio, 1, & 2 bedroom floor plans, and then schedule a tour to see Colorado Springs apartment living for yourself. Located in the southwestern corner of Colorado Springs roughly two miles from downtown, Sienna Place is located in a charming neighborhood with tidy rows of adorable houses on tree-lined streets. Sculpted mountain peaks provide an impressive backdrop of this impressive neighborhood. With I-25 forming the northern and eastern border, residents enjoy easy access to Downtown Denver, roughly an hour north.